ASSOCIATED PRESS PayPal is splitting from eBay and will become a separate company in 2015. NEW YORK - PayPal's impending split from longtime partner eBay Inc. will ratchet up its appeal to online retail competitors such as Amazon.com and give it the freedom to aggressively take on new mobile-pay challenger Apple Pay. For eBay, the challenge will be how to drive revenue without its fastest-growing division. The move marks a 180-degree turn for eBay Inc. CEO John Donahoe, who had been adamant in spurning activist investor Carl Icahn's call months ago to spin off PayPal. Donahoe, who will step down after the split is finalized in the second half of next year, said he now agrees that it's the right path for both companies. With the launch of Apple Pay next month expected to reshape the mobile-payments industry, Icahn said he's "happy" eBay came around, "perhaps a little later than they should have, but earlier than we expected." Investors were happy too, sending eBay shares up more than 7 percent to close at $56.63 yesterday. PayPal services $1 of every $6 spent online. It collects fees from more than 150 million users who use the online service to send money to other users and pay for goods and services in more than 200 markets. Acquired by eBay in 2002 for $1.3 billion, its partnership with the popular site helped expand PayPal's reach worldwide. The service posted 20 percent revenue growth in the last quarter to $1.95 billion - representing nearly half of eBay's total revenue. PayPal also has staked a claim in the small but swiftly growing mobile-payment arena, and is on track to process 1 billion mobile payments this year. It launched PayPal Here and acquired Braintree and its One Touch mobile-payment service, which compete with players such as Square and Google Wallet. The payoff is huge for whichever player can own the space: Mobile payments could spike to $58.4 billion by 2017 from just $1 billion last year, Citi Investment Research analyst Mark May said in August. And the pressure is on. Apple Inc., which has 800 million user accounts through iTunes, threw down a gauntlet last month with the announcement of its own digital wallet, Apple Pay, slated to launch in October. 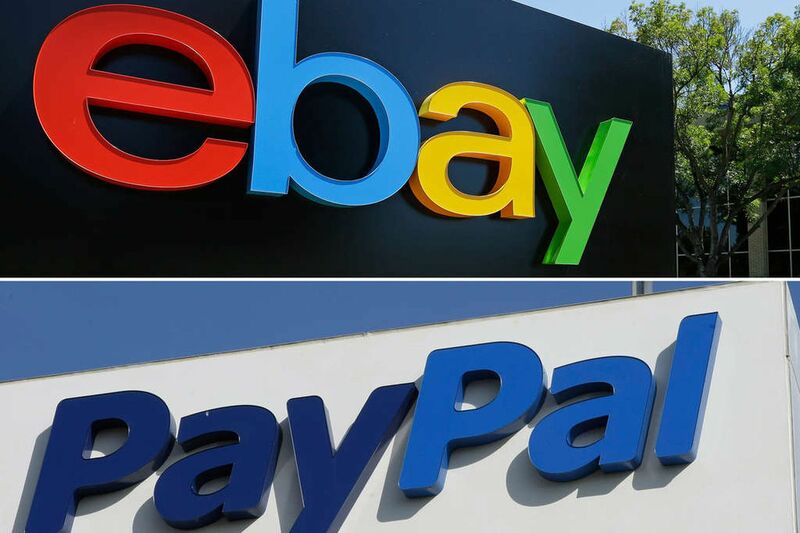 Courting major eBay competitors such as Amazon.com Inc. and newly public Alibaba, who might be more likely to partner with PayPal now that it's not married to a direct competitor, said Cantor Fitzgerald analyst Youssef Squali. The company also could be a takeover target. Squali notes that Google and Microsoft (not to mention Visa and Mastercard) have tried to build online payment platforms with varying degrees of success. And with PayPal "now essentially free to focus on payment innovation, and standing on the shoulders of a well-capitalized eBay, they can act more aggressively to counter new competitors," R.W. Baird analyst Colin Sebastian said. He notes that PayPal will end up with a sizable amount of cash and none of eBay's debt. New CEO Dan Schulman will bring both mobile and prepaid payment experience to the company. Schulman, 56, was founding CEO of Virgin Mobile, before leading the prepaid group at Sprint Nextel and most recently expanding mobile and online pay services at American Express. Citi's May noted that few people have that background in financial services, mobile technology and payments - three key strengths to be competitive going forward in digital payments. Devin Wenig, president of eBay Marketplaces, will become CEO of the new eBay Inc., leading both the marketplaces and enterprise divisions.